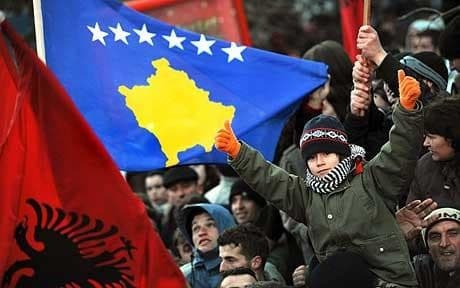 Though 18 February, 2018, marked the 10-year anniversary of Kosovo’s unilaterally declared independence from Serbia in 2008, a bittersweet undertone of issues still looms over the infant nation. In a day of celebration, it is easy to forget the problems that plague not only Kosovans themselves, but the position of the Kosovan state within the international landscape. As a relatively new nation, full recognition of sovereignty is yet to be reached. While up to 116 countries have officially recognized Kosovo in the global community, scores of influential countries have yet to acknowledge their position. Although the United States and major European Union countries have accepted their legitimacy, Serbia, backed by its powerful ally Russia, refuses to do so, as do most ethnic Serbs inside Kosovo. Before going further, it is important to understand the historical significance of the relationship between the majority Albanians and minority Serbians within Kosovo. Celebrations of Kosovo's 10-year independence anniversary. || Telegraph. Following the blood-stained break-up of former Yugoslavia in the early 1990s, a brutal war broke out between Serbian troops and Kosovo’s ethnic Albanian rebels. It was only ended by NATO military intervention in 1999. NATO bombed for 11 weeks to halt a wave of killings and expulsions of ethnic Albanian civilians by Serbian security forces, who were waging a two-year counter-insurgency war. With up to 13,000 Albanian casualties, this event left a mark on the identity of Kosovo as a nation. Furthermore, tensions are still felt between Albanians and Serbians who remained in the new state. Currently, the issues surrounding Kosovo-Serbia relations solely revolve around partition and the normalisation of ties to join the European Union. Serbia reportedly could join the bloc by 2025, provided it carries out inward reforms and resolves its differences with Kosovo, specifically in officially accepting its independence. Accession negotiations thus far have been inconclusive. However, following EU mediation, the Kosovan parliament has agreed to give majority-Serb areas a degree of autonomy. From the leadership of both sides, resolving the conflicts appears to be a common agenda. Serbian President Aleksandar Vucic said in an interview with Reuters, “If there is no compromise we will have a frozen conflict for decades. We should not leave that to our children to deal with.” These comments show clearly that the intentions of the Serbian government are in line with quick resolution. Kosovo’s president Hashim Thaci optimistically added that a “historic” deal could be reached before the end of the year and it would result in Kosovo’s membership in the United Nations. Unfortunately, in order to repair the relationship of the two countries, any measures taken would involve a great deal of compromise from both sides. Serbians in state need to accept the authority of the Kosovan government and Kosovans must find a way to achieve it without losing too much territory. Ultimately, the overwhelming pressure is to put the past behind and think of the well-being of future generations. While resolving the dispute with Serbia is unequivocally important to establishing full sovereignty, another issue that plagues Kosovo’s independence is the proper recognition of its borders. Similar to the demands of partition from Serbia, Kosovan sovereignty is challenged by a degree of disrespect from the countries in its immediate vicinity. Though a demarcation agreement between Kosovo and Montenegro appeared to have been met back in 2015, years have gone by and the deal has yet to be ratified. From Kosovo’s perspective, the 2015 agreement simply magnified existing tensions between the ruling elite and opposition politicians, who object that the agreement will lead to a loss of territory for Kosovo. Attempts to hold the vote in the past have triggered violence within the country, with MPs releasing tear gas in parliament and angry protesters clashing with police in the street. Fortunately, over the past week, massive progress has been made in the renegotiation with Montenegro that would allow for a precedent to be set for possible future deals with Serbia. On February 16, 2018, Kosovo and Montenegro announced they had reached a deal and only need to wait on Kosovo’s parliament to vote in favour of ratification, as Montenegro’s has done already. Resolving the border dispute will go a long way towards achieving recognition as an autonomous nation; more specifically, acquiring visa liberalisation —free access to the borderless Schengen Area— is mandatory to join the European Union. In 2010, Kosovo embarked on a series of reforms that the European Commission had issued as preconditions for the liberalisation process which included enhanced border security and secure management of civil registries and the issued personal documents. Presently, Kosovo remains the only country in the Balkans without this visa-free access while all its neighboring countries, Serbia included, achieved it back in 2010.